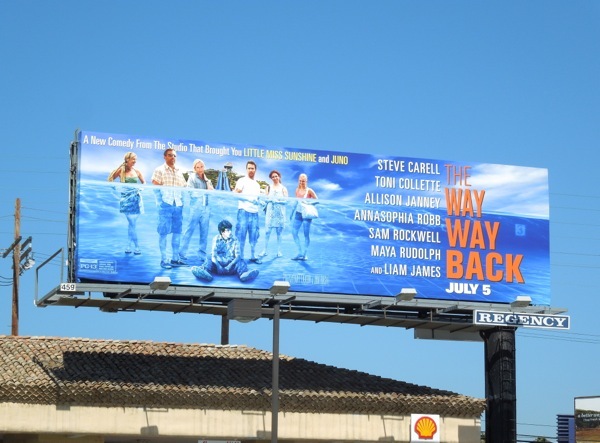 If you've had your fill of summer blockbusters and have already overdosed on explosions, flying men and the undead, maybe it's time for a little humour in the form of the new indie comedy drama, The Way, Way Back, which is crammed with funny people like Steve Carell, Sam Rockwell, Toni Collette, Allison Janney and Maya Rudolph. 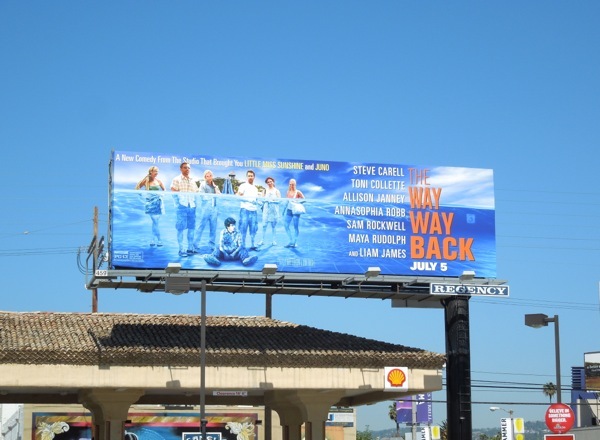 This coming-of-age film from Nat Faxon and Jim Rash stars Liam James as 'Duncan', a shy misfit teenager forced to go on summer vacation with his mother and his potential new step-family. When he befriends Sam Rockwell's Hawaiian shirt wearing manager of the local 'Water Wizz' amusement park he finds that his summer holiday just may not be as bad as he thought. 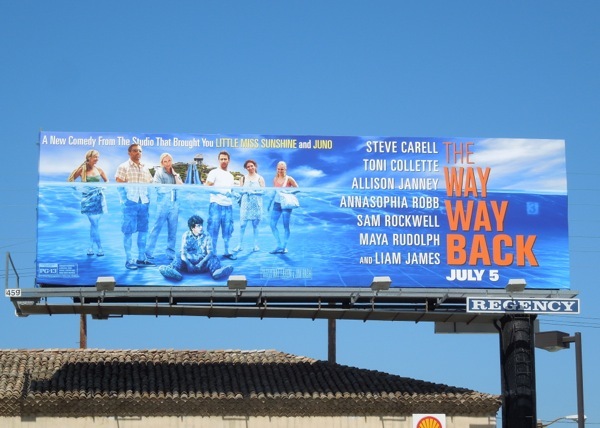 If you like the sound of this movie, be sure to check out Sam Rockwell and Liam James costumes from The Way, Way Back on display too. 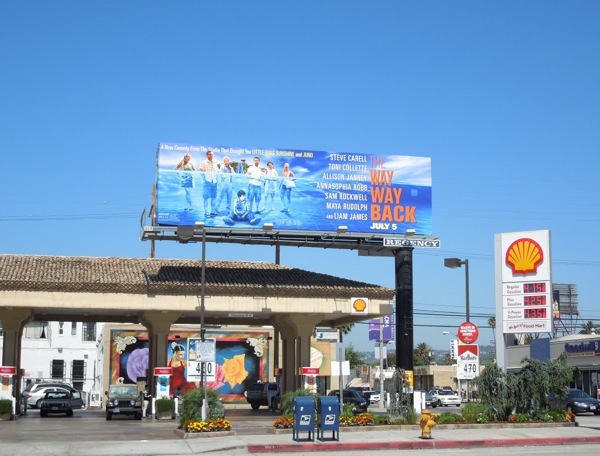 This quirky billboard for the new film was snapped at the corner of Fairfax Avenue and Beverly Boulevard on June 26, 2013. And with credentials like Little Miss Sunshine and Juno, how can you resist.